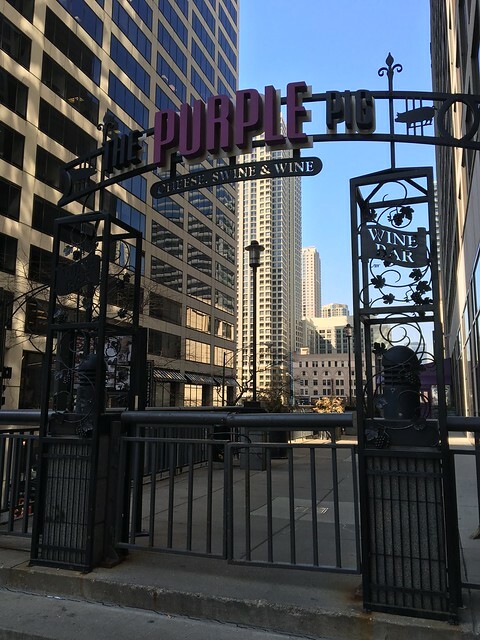 When I asked for foodie suggestions form my friends when I learned I was traveling to Chicago, The Purple Pig came up quite a few times. This small, lively restaurant boats adventurous small plates plus house-cured meats & a lengthy wine list. Seating is first come, first served. So, we were there right at 11 a.m. when they opened, and we weren't alone. 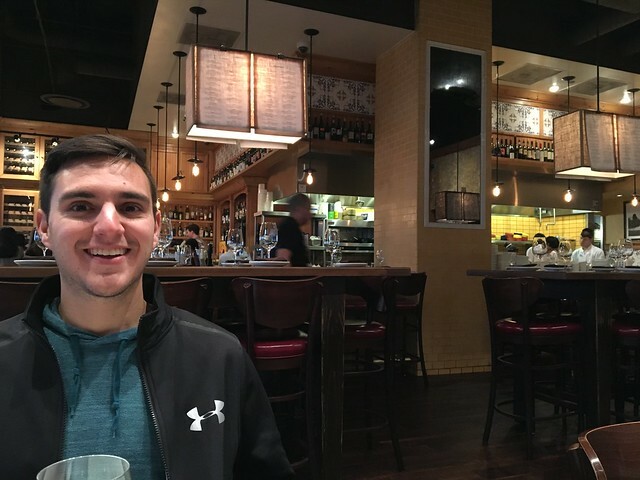 We were seated as soon as the restaurant opened, and it quickly filled with people - creating a loud, energetic atmosphere. There is also a long bar area for communal seating. 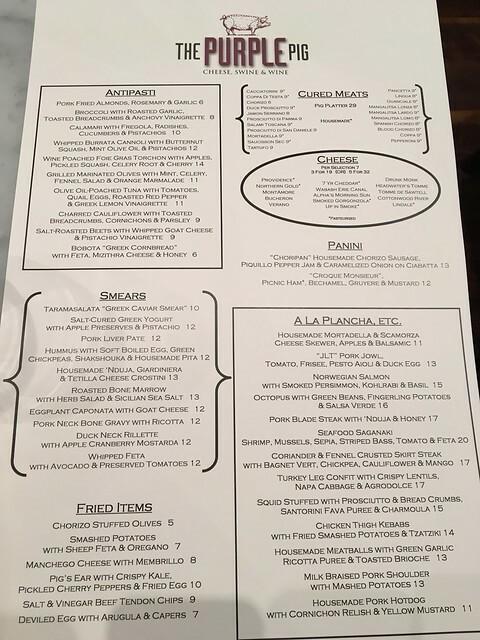 The menu is a little crazy - in the best way. Octopus terrine, "smears," cured meats, cheeses, turkey leg confit, pork jowl BLT and much more. Because these are small plates, we ordered a handful, which all come out depending on whenever they're done. 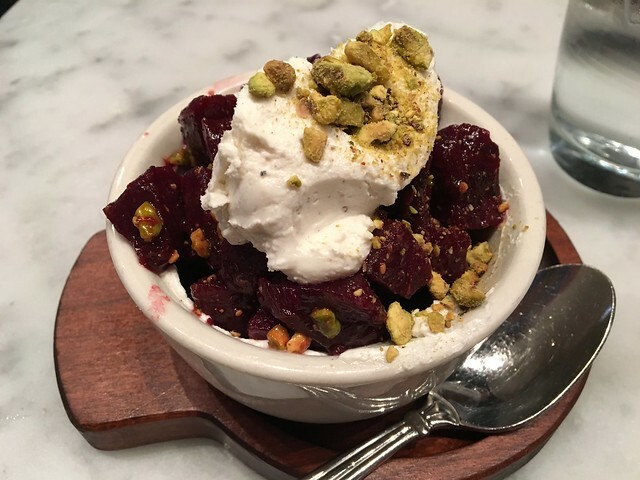 First up, salt-roasted beets with whipped goat cheese and pistachio vinaigrette. I really like beets, so this was a win for me. I like the light goat cheese and crunch of the pistachio. I do wish it was served more as maybe a side, so that I had something else to help mix up the flavor. It's a lot to eat on its own. 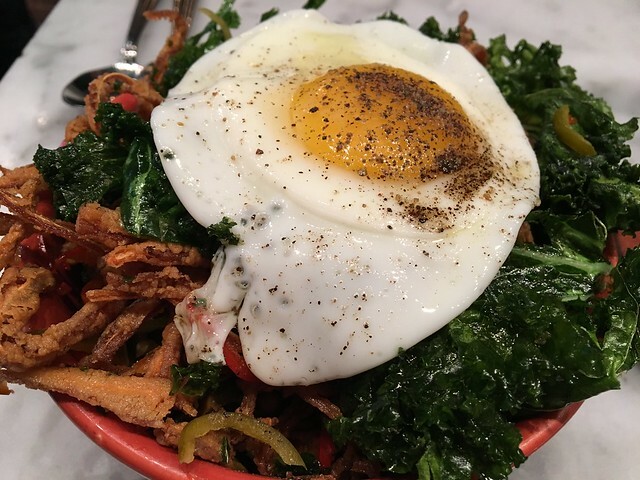 Then, we had the pig's ear with crispy kale, pickled cherry peppers and fried egg. We were instructed to mix it all together. And, once it was all mixed and you got a bite of everything, it was well-balanced. The fried with the crunchy and the savory egg, but those pickled peppers are really what pulled it all together. It needed that sweet, acidic piece. I wish I had more of those bites with a taste of everything. 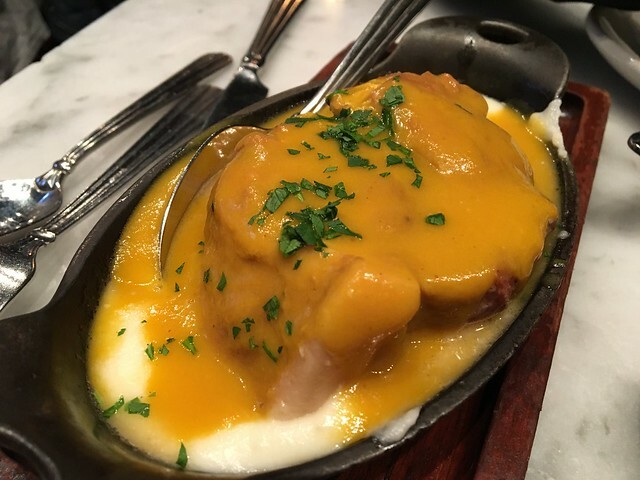 Next out was my favorite: milk braised pork shoulder with mashed potatoes. I don't think I've ever had pork so tender in my life. It was divine. The mashed potatoes were pretty thin, but it almost made for this sort of soup-like experience - in an amazing way. So, so good. And finally, the pork neckbone gravy with ricotta was delivered. I so wish this would have been delivered on the front-end of the meal because not only would it have been a godo balance for the beets, it's tough to follow that pork shoulder. This, however, was good. It wasn't at all what I was expecting when it said "gravy," but it was tasty, nonetheless. 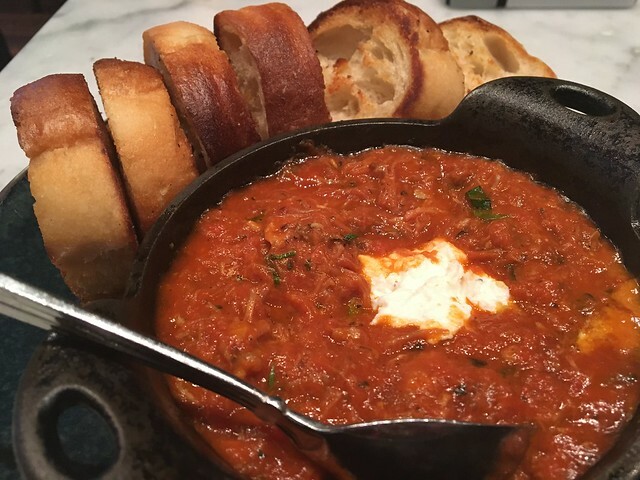 It tasted very familiar; a red sauce with pork that you could find in many Italian households. A utilitarian dish, even. But, tasty regardless. I did like each of the dishes, but the only one that exceeded expectations was that pork shoulder, and it was very, very good. Otherwise, they were decent. If you visit, be sure to snag a seat early, as it gets packed.